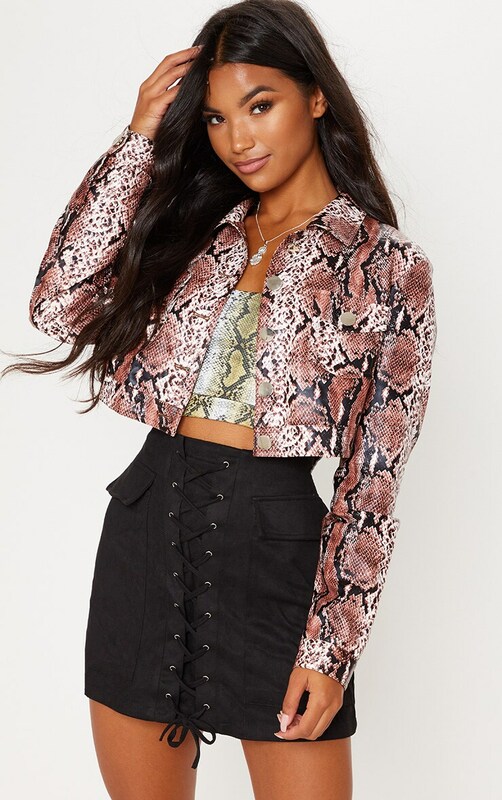 We are obsessing over prints this season and this snake print jacket is everything we are loving. 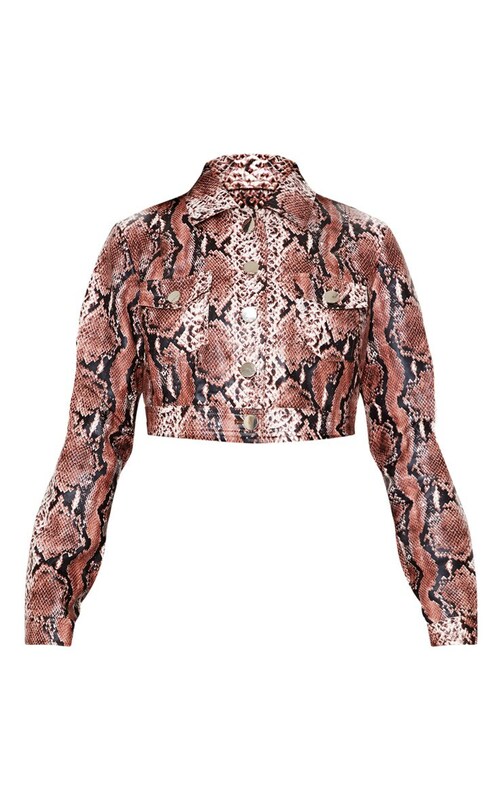 Featuring a PU material with a snake print design, a pocket detail and a button fastening. Style this jacket with a crop top and jeans for an ultimate off-duty look.